This is Homefinder Sydney’s most popular service as we do all the hard work for you, saving you many wasted hours and potentially thousands of dollars, finding and securing the ideal property for your individual needs. After filling in the short Buyer Questionnaire we then arrange an initial meeting with you to further establish your personal search criteria in detail, including budget, area and timeframe of purchase. This meeting will occur at a time and place that suits you, or even over the phone if you are interstate, an overseas buyer or an ex-pat buyer. When you are comfortable and confident to proceed with Homefinder Sydney as your personal Buyers’ Agent we will ask you to sign the standard Buyers Agency Agreement from the Real Estate Institute Of NSW and pay a modest Retainer/Commitment Fee. We then commence your search by issuing your buyer brief to our wide network of contacts among sales agents in your chosen area , who are often able to give us an alert to “off market” or “silent” listings, as well as earlier notice than they general public to upcoming new listings. Our sound local knowledge is invaluable in targeting the best streets & neighbourhoods for your home or investment. By sifting through the Internet listings & other properties personally sent to us by the sales agents, we can then save you a great deal of stress & time by dealing directly with the agents, getting the “inside” information & shortlisting the most suitable properties for our physical inspection. We will then physically inspect the shortlisted properties, photograph & detail their attributes, ahead of a further shortlist for you the buyer. Then, where possible, we will arrange private inspections for you at your convenience. Once we’ve found your ideal property, we will conduct a Comparative Market Analysis ( CMA) report to give you an appraisal of the property’s true worth in the current marketplace. Next, using our expert negotiation skills and years of experience we will attempt to secure the property for you at the lowest possible price with the best possible terms and conditions for YOU, the buyer. We can potentially save you tens of thousands of dollars, far in excess of our fixed fee, on one of the biggest purchases you will ever make. If the property is an Auction property & we cannot secure it for you ahead of the auction, we will be there for you to bid for you on auction day. A fixed rate Success Fee is only payable upon successful exchange of contracts. As with our other services, at Homefinder Sydney we are on your side and stick with you as your personal Buyers’ Agent from Exchange Of Contracts, right through to Settlement Day, including a comprehensive Pre-Settlement Inspection. For more information on competitive rates, click here.. This is a good option for those who enjoy and have the time to conduct their own searches & physical inspections, but who need assistance in assessing the market place in their chosen area or suburbs and who want to be sure they don’t pay too much for their property. Once you’ve found your property, and are comfortable and confident to proceed with Homefinder Sydney as your personal Buyers’ Agent we will ask you to sign the standard Buyers Agency Agreement from the Real Estate Institute Of NSW and pay a modest Retainer/Commitment Fee. We will then investigate that property thoroughly with a combination of local knowledge, extensive, agent-only databases & comprehensive conversations with the selling agents. We will physically inspect the property & photograph it, if at all possible. Then we will conduct a Comparative Market Analysis ( CMA) report using all those elements to give you an appraisal of the property’s true worth in the current marketplace. We are also able to provide referrals, should you require them to trusted professionals for conveyancing, pest and building inspections, strata inspections & the like. A fixed Success Fee is only payable to us upon successful Exchange of Contracts . Should we be unsuccessful in securing your purchase, Homefinder Sydney will gladly roll over your Negotiation and Evaluation Retainer/Commitment Fee if you wish to switch to Option 1, a Full Property Search. Nervous about bidding on your dream home or investment property yourself? Are you going to be absent or unavailable at the time of the auction? Do you wish to remain anonymous with this purchase? Here at Homefinder Sydney, Principal Meredith O’Reilly is not only a licensed auctioneer herself, but won the NSW State Championship title: Novice Auctioneer of the Year, 2009! This honour is bestowed annually by the Real Estate Institute of NSW on its best & brightest upcoming talent. So who better qualified to bid FOR you, taking your side in an auction & removing the emotion & stress from the process than someone who understands & is highly experienced at auctions from both sides? She will remove the pressure from the sales agents by keeping you at arm’s length from them. You don’t even have to be present at the auction if you don’t wish to be. 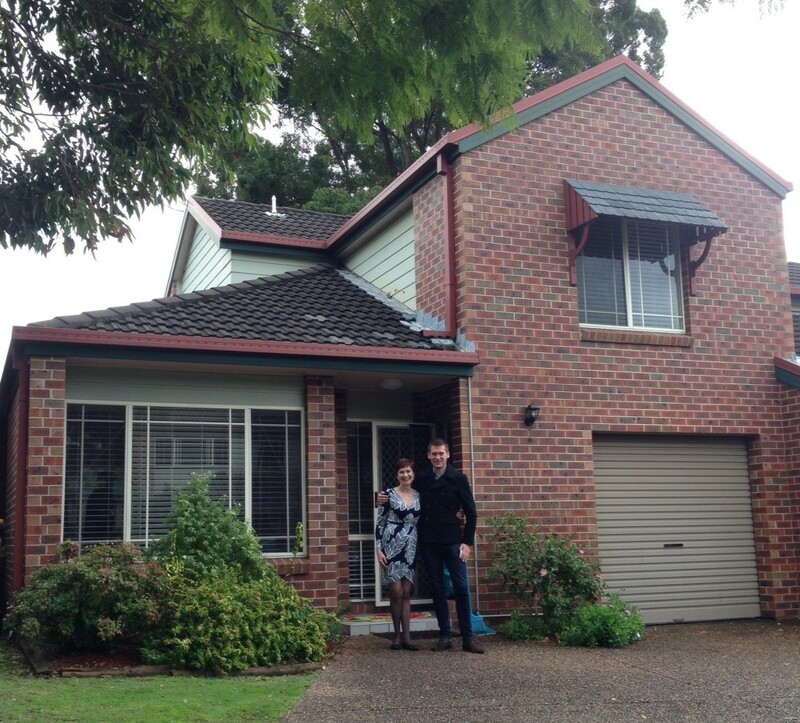 Homefinder Sydney will ensure that you stay within your pre-designated budget. That budget will have been discussed & agreed upon confidentially ahead of the auction, based on careful market research & as much information from the sales agents as possible. Where possible we will have physically inspected the property & photographed it ourselves as part of our research. Should the property be passed in we will continue negotiating for you on that property on auction day for no extra charge. A Success Fee is only payable upon Exchange Of Contracts. We will also be there for you on Settlement Day, conducting a Pre-Settlement Inspection to ensure the property is in the same condition as when you purchased it, prior to your settlement cheques being handed over to the Vendor’s solicitor. In the event that you are unsuccessful purchasing at auction, Homefinder Sydney will roll over your Auction Retainer/Commitment Fee into the Retainer/Commitment Fee for Option 1 if you wish to switch to a Full Property Search.